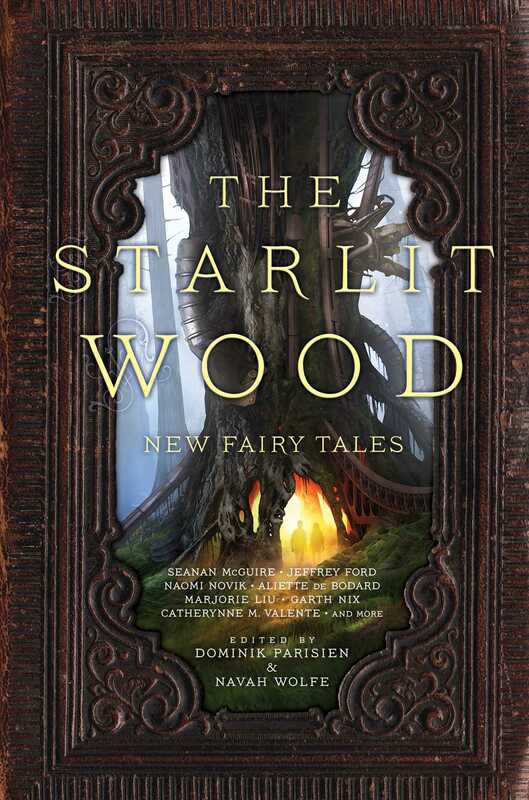 "The Super Ultra Duchess of Fedora Forest," by Charlie Jane Anders [bio] (edited by Dominik Parisien and Navah Wolfe), appeared in The Starlit Wood (RSR review), published on October 18, 2016 by Saga Press. Pro: Much of this is a fairly close retelling of The Mouse, the Bird, and the Sausage, but the ending is completely changed from the Grimm original. There are lots of laughs here (Republic of Breakfast Meats? The sausage wants to be a DJ?) and of course there's a happy ending. Con: The author avoids the depressing ending of the original, but the solution is just too easy. I really liked this story. I rate it a 4-star myself. Given the whole collection is very revisionist, does it really matter that much that the ending was changed so it would be a happy ending ? I read a guest editorial by Ms. Anders on Asimov's recently about endings. I think the ending was good, and I think the author is getting better at doing endings. In this case, any change to the ending was bound to be an improvement. I just felt the happy ending came too easily.